Dense clouds cast shadows that darkened the brush and trees more than usual in the late afternoon. Three male impala stood like statures ten yards within the black-brown thicket. Ian was my professional hunter. 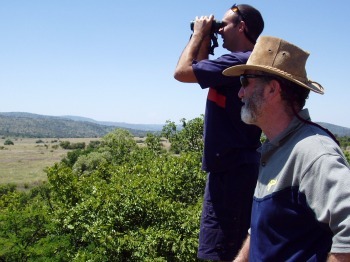 I was awed by his ability to see animals among the trees from the narrow dirt road that cut linguini-like through the forests and rolling hills of the Chamanzi Ranch in Natal, South Africa. The largest impala moved its near-trophy class head an inch. Although I was looking through my rifle scope, the maze of shadow-bathed branches made it challenging to discern head and horn from branch and tall grass. The sweat cascading down my forehead and attacking my eyes made the challenge greater. I fought to find a comfortable position to look through the scope as I propped the rifle on a make shift rest. Although focused on the impala, the torrent of my thoughts could not be blocked. Tracking a wounded animal in this terrain would be impossible. Hunting success is a roll of the dice. 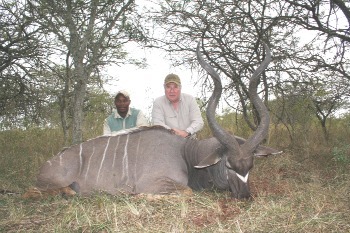 I would leave South Africa in two days and I might not see another impala of this quality. Given my life's demands, most likely I would not return to Africa. An ethical challenge confronted me: if my only opportunity for a shot was less than ideal, should I pull the trigger? Parents and teachers, as a general rule, want to teach ethics to their children and students. Instructors are determined, my experience has shown, to instill ethical practices in hunters. But to teach ethical behavior, one must first understand the ground rules and terms. Before any of us agree or disagree with an opinion, we should have clarity of meaning so we are all thinking based on the same assumptions. It is logical to begin the inquiry about ethical behavior by asking why an action is good and why is an action bad. Another way of stating the issue is what makes an action ethical and what makes an action unethical? Although millions of pages have been written on these questions, I offer this simple answer to them: an action is good or ethical if it advances virtue. I also assert that virtue can be judged by applying ethical principles to an idea or action. For example, an action that shows respect for life or is performed with skill and competence to achieve a virtuous goal is likely to be ethical An action that subverts or degrades an ethical principle such a Justice or Respect for Life or which is not based on integrity or honor is more likely to be unethical. The unavoidable and somewhat grisly reality is that hunting inherently involves taking a life, whether a destructive groundhog, a pheasant or a magnificent impala. Taking a life is a morally serious action. 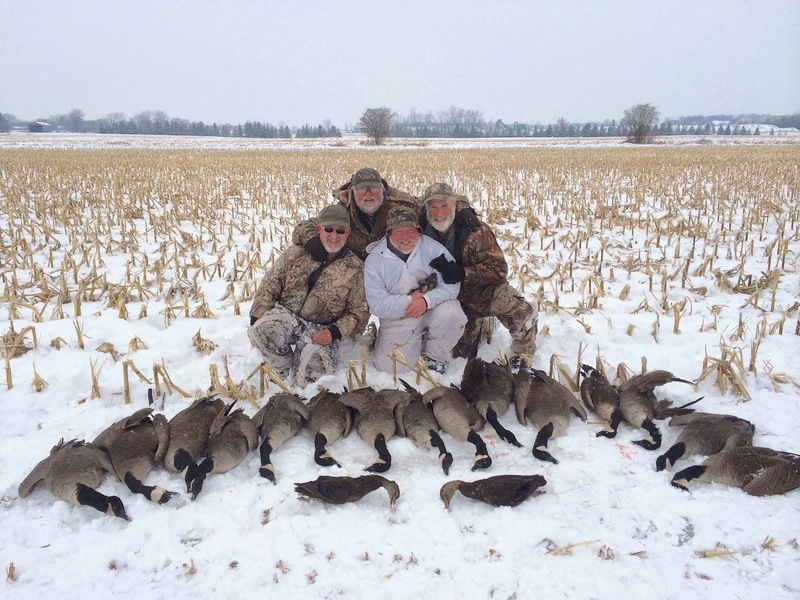 For hunters, the act of hunting requires employment of technical skills and mental discipline for the purpose of engaging in the activity in a virtuous or ethical manner. The ethical hunter must be, thus, capable of moral judgment and have the ability to translate theory into virtuous action. How can parents and instructors help others determine whether an action is virtuous? Two-and-a-half millennia ago Aristotle wrote that no set of rules provides answers and solutions to every ethical problem as if ladling the same sauce on all pasta. Easy answers elude us. Aristotle advocated the need for moral reasoning so that a person could pursue virtue in a broad array of different circumstances. Times have not changed. Facts matter. Facts determine morality. What might be ethical hunting at one distance or with one caliber of rifle might be unethical at another distance or with another rifle caliber. A shot that might be ethical in the bright sun of noon might be unethical at dusk or in deep shadows. Larger themes can be learned from an analysis of my impala incident in South Africa. Ethical behavior requires technical skills as well as moral character. I had to have practiced my shooting skills. I had to demonstrate self-discipline to not take an unreasonable shot. I had to have the humility to acknowledge my limitations. If the professional hunter had encouraged me to take a shot I considered irresponsible, I had to have the character and willpower to stand up against the pressure of that encouragement. Ethical action is not always easy. Ethics define the quality of the relationship between you and others. Your actions define your character. The unethical hunter may not only wound a deer. The unethical hunter wounds himself. It may not be obvious in an immediate way, but the damage is done nevertheless. How the unethical hunter acts in the field will likely be an indicator of how he acts in all aspects of his life. On a more overarching level, there is a relationship between ethics and freedom and a relationship between moral character and liberty. On that safari I was joined by two Navy SEALS. One of their mottos was "Honor Above All." Honor is vital on the hunting field just as it is on the battlefield and, indeed, in all aspects of life. Eric Nuse encouraged me to read Sports Ethics, An Anthology, edited by Jan Boxill. In the chapter titled Sportsmanship as a Moral Category, James W. Keating makes the point that hunting can teach us ethics and that knowledge, in turn, can inspire us to hunt more ethically. But ethics must be taught by people who understand ethics. Knowledge, skill and patience are required. You cannot give what you do not have. Acting ethically is not always easy but it is far easier to work to make the right decision than to spend the remainder of your life wishing you had. By the way, I did not take the shot at the impala. And I did not see a larger impala during the remainder of my trip. But I made the ethical decision. 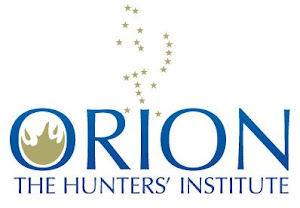 Michael Sabbeth is an Orion supporter and a lawyer in Denver, Colorado. He lectures on ethics and rhetoric to law associations and civic and business groups. 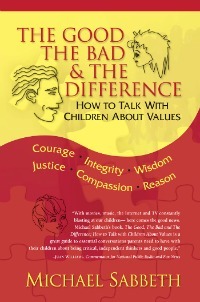 He is the author of the newly published book, The Good, The Bad & The Difference: How to Talk with Children About Values. The book is a guide for teaching ethics and moral reasoning to young children. Please visit his website at www.kidsethicsbook.com for free chapter downloads and to buy the book in paperback or as an EBook. I was quite heartened Sunday night to watch a Jim Shockey show on TV Sunday night in which he guided his daughter on her first black bear hunt. He spoke throughout the episode about how they had decided ahead of time that she would shoot only if the circumstances were perfect: a broadside bear, not moving. They passed on what seemed like easily half a dozen shots - situations in which many hunters would pull the trigger. I thought it was an excellent message about coaching your kids through this kind of ethical decision-making, but I hope some adults took it to heart too. "Ian was my professional hunter. I was awed by his ability to see animals among the trees from the narrow dirt road that cut linguini-like through the forests and rolling hills of the Chamanzi Ranch in Natal, South Africa." Well if you're going to pay all that money to fly across the world and hire someone to spot game in thick brush just ask him if it's an ethical shot, or let him shoot it for you.